>It’s Another Great ANBAD New Bands Round-Up! Look – here’s Fran O’Hanlan, his lovely voice, his lovely gentle guitar, and his lovely, rugged, yet boyish, good looks. Wait. I got sidetracked there. But his songs, like House Of Books, are impassioned, grand and acousto-syrupy. Listen here! If you like beards, you’ll love Jam On Bread. Even if you’re not fond of facial fungus, you’ll not fail to raise at least an eyebrow, or even a smile, at his simple ukulele pluckings and off-beat songs. Floaty-light fun. Listen here! I was hoping that Down The Lees was a protest group targeting people called Lee, but my early optimism was misplaced. Happily, it was replaced with jangly heartfelt indie – songs like Talk Is Not Cheap, which scrabbles and scratches and finds itself standing amid nice chorus-verse-choruses. Listen here! Posted on June 29, 2009 by Joe Sparrow. 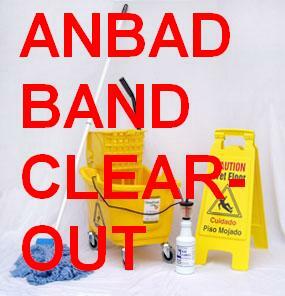 This entry was posted in Today's New Band and tagged Band Clear Out. Bookmark the permalink.